Submit to Concur, easy as 1, 2, 3! You might have read the news that our friends at Concur have just sold to SAP, a global enterprise powerhouse. If you’re currently a Concur customer, switch to Expensify now and PAY NOTHING for the duration of your Concur contract. If that’s one year, ten years, or a thousand years — no problem. There’s no need to stick it out to the end: you can switch today without stressing over the sunk cost. If you or anyone you know are using Concur and feeling uncertain about the future, please write to concur@expensify.com and we’ll get you set up. 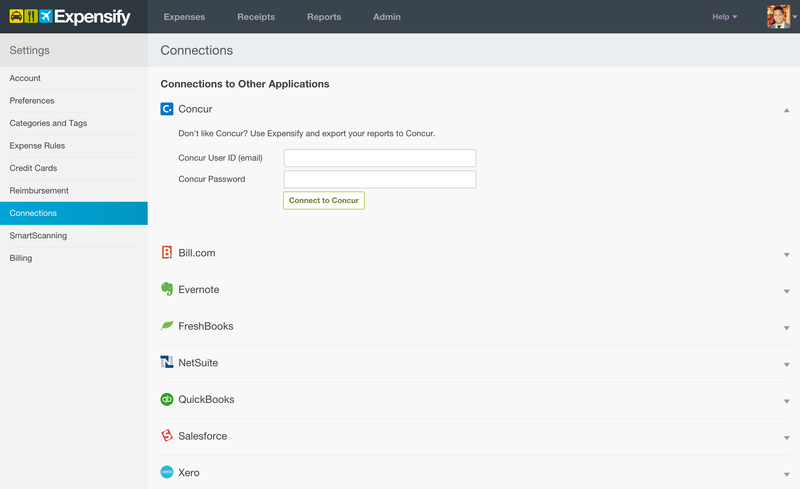 Alternatively, if you’re convinced the company will never switch, we whipped up something this weekend for you too: we call it “Submit to Concur.” To enable, just sign in to https://expensify.com, click Settings > Connections > Concur, and enter your Concur username/password. Create your next report using Expensify as normal— including our cutting-edge mobile app and industry-first SmartScan technology — and when you submit we’ll connect via the Concur API, upload the receipts, and create the report for you. So whether you’re in charge or not, there’s no reason to suffer through to the bitter end: you can make the switch to Expensify by yourself, today, without waiting for the rest of your company. Regardless, it’s a great new day for the industry. Congratulations to Steve Singh at Concur; it was a fantastic run. We’ll take it from here! This post was originally sent out as a newsletter to our users. To sign up for Expensify, visit http://use.expensify.com/. Questions, comments, concerns? Feel free to drop us a note in the comments section below!